What is it? A Fund to issue financial support to either a particular area of interest or a particular group of people. A company wanting to establish an employee disaster relief fund for employees across the nation. Do you want to support a particular field of interest such as Veterans, the arts or animal welfare? 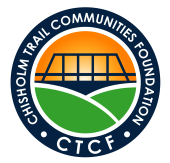 YOU decide the criteria for applicants and CTCF will manage the application process. If you choose to have your Fund invested at CTCF, any gains achieved by the Fund are tax-free growth that you can use to provide more support to your chosen field(s) of interest. You will receive regular reports showing the activity of your Fund, tracking both deposits and distributions. *Past returns are no guarantee of future performance. A Field of Interest Fund at CTCF qualifies as a recipient of an employer charitable matching program. Check with your employer to determine if they have a charitable matching program and how much they match annually. Who will be the primary advisors for the Fund and who will be on the application review committee? What are the parameters that will be used to determine eligibility to receive a grant from the Fund? Administrative costs to establish and maintain the Fund.